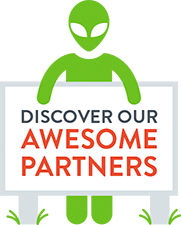 AWS offers significant advantages for many organizations with its innovative technology model. However, the ‘Shared Responsibility’ security model for AWS can present challenges. As Amazon explains, “While AWS manages security of the cloud, security in the cloud is the responsibility of the customer." So, if you rely on AWS, you need to regularly evaluate the configuration of your network access and security controls. Otherwise, you could inadvertently deploy insecure configurations, putting your instances and assets at risk.  AlienVault USM Anywhere, with its purpose-built AWS sensor, provides you with the security awareness and threat intelligence that you need to be able to detect and respond to threats and to manage compliance in your AWS environments. 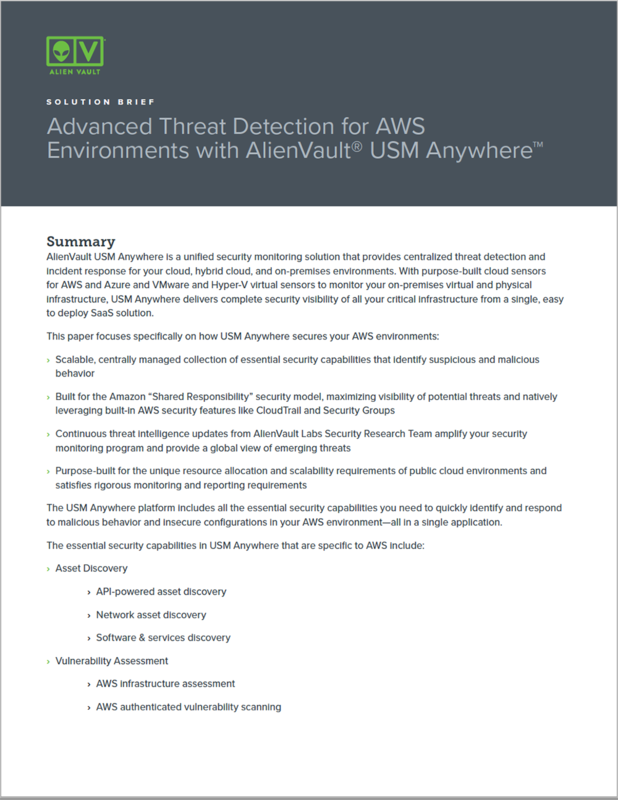 Download now to learn more about how USM Anywhere can give you complete security visibility across AWS as well as your other cloud and on-premises environments.